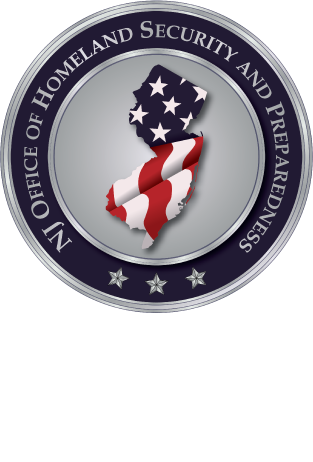 The NJ Regional Intelligence Academy (RIA), along with the Middle Atlantic Great Lakes Organized Crime Law Enforcement Network (MAGLOCLEN), will be hosting a 1-day seminar to discuss the current threat of violent extremists and how law enforcement and homeland security professional may counter it. This training opportunity will provide greater insight into the current state of extremism around the world and how those threats from abroad are impacting us here in the US. Clint Watts is a researcher, consultant and trainer. Clint is a Fox Fellow at the Foreign Policy Research Institute in Philadelphia and a Senior Fellow at the Center for Cyber and Homeland Security at the George Washington University. Clint provides training to law enforcement, the military, and financial sectors and is a former U.S. Army Officer, former FBI Special Agent and former Executive Officer of the Combating Terrorism Center at West Point. William McCants directs the Project on U.S. Relations with the Islamic World at the Brookings Institution. He is also adjunct faculty at Johns Hopkins University and previously served as a State Department senior adviser on countering violent extremism. Prior to serving at the U.S. State Department, McCants held positions at the U.S. Department of Defense and the Combating Terrorism Center at West Point. McCants is the author of the ISIS Apocalypse: The History, Strategy, and Doomsday Vision of the Islamic State. He has a PhD in Near Eastern Studies from Princeton University. J.M. Berger is a nonresident fellow in the Project on U.S. Relations with the Islamic World in the Center for Middle East Policy. With roots in newspaper journalism, Berger is an author and analyst studying extremism. He is the author of "Jihad Joe: Americans Who Go to War in the Name of Islam" (Potomac Books, 2011), the only definitive history of American involvement in jihadist movements, and co-author of "ISIS: The State of Terror" (Ecco, 2015), with Jessica Stern, a book that “should be required reading for every politician and policymaker,” according to The Washington Post. Berger has written extensively on the evolution of al-Qaida and the rise of the so-called Islamic State (ISIS). He interviewed American al-Shabab member Omar Hammami at length and published a widely read account of their interactions after the jihadist was killed by his former allies in 2013. Seamus Hughes is the Deputy Director of the Program on Extremism at George Washington University’s Center for Cyber & Homeland Security. He is a recognized expert on homegrown violent extremism and countering violent extremism (CVE). Hughes previously worked at the National Counterterrorism Center, serving as a lead staffer on the U.S. government’s efforts to implement the national CVE strategy. He regularly led engagements with Muslim American communities across the country, provided counsel to civic leaders after high-profile terror-related incidents, and met with families of individuals who joined terrorist organizations. Hughes created a groundbreaking intervention program to help steer individuals away from violence through non-law enforcement means and worked closely with FBI Joint Terrorism Taskforces, Fusion Centers, and U.S. Attorney Offices. This seminar is for law enforcement officers, supervisors, intelligence analysts and public and private homeland security professionals. *Pre-registration is required NLT November 13th, 2015. Final confirmation e-mails will be sent to attendees prior to start date. Identification is required for admission.